Starting on Valentine's Day, Guts is spreading the love by giving away free spins and you can also participate in their weekend slots tournament and win some extra spending money for Valentine's Day. 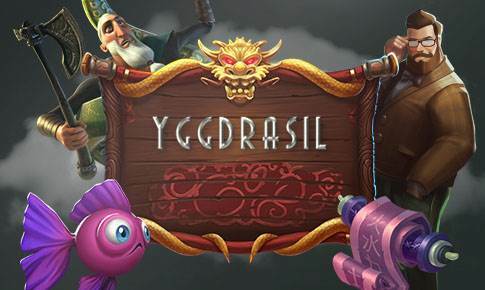 The weekend is fast approaching and Guts has a weekend packed with bonuses like it will never end and they're doing this by bringing back the popular Yggdrasil Weekend Tournament with the slot Vikings Go Berzerk. You too can go berserk with €5,000 In winnings, with a top spot of €500 for the player with the highest individual coin win. The details are listed below. The tournament is eligible to players in Australia, Canada, Finland, Netherlands, New Zealand, Norway and Sweden. What's better than getting rewarded for playing your favourite games anyways? Play to collect hearts which translates into free spins when you choose a date. The promotion runs from Monday February 13th to Sunday March 5th. So how do you get in on the Valentine's Promotion? The answer is simple. Play your favourite games including table games, slots, and you'll be able to track your performance red bar at the top of the page. The performance bar will record your progress and every time you reach a new level you'll receive a special heart and you'll be on second base if you click on it. If you've every experimented with Tinder the process might sound a little familiar. Swipe left and right to choose the cartoon character you most look like and you'll have an instant match! Try your luck at the Guts tournament now!